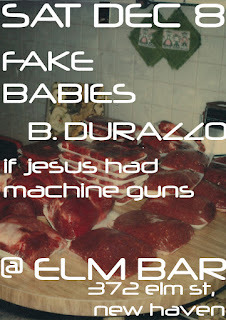 Fake Babies are playing Elm Bar on Saturday the 8th with B.DURAZZO and If Jesus Had Machine Guns. The Fake Babies live/work warehouse space in New Haven, CT, dubbed The Submarine, was used as a DIY music venue hosting crowded dance parties and touring acts. As of now, walls have been built and foam has been added, creating a control room and sound booth... forming Submarine Studios. 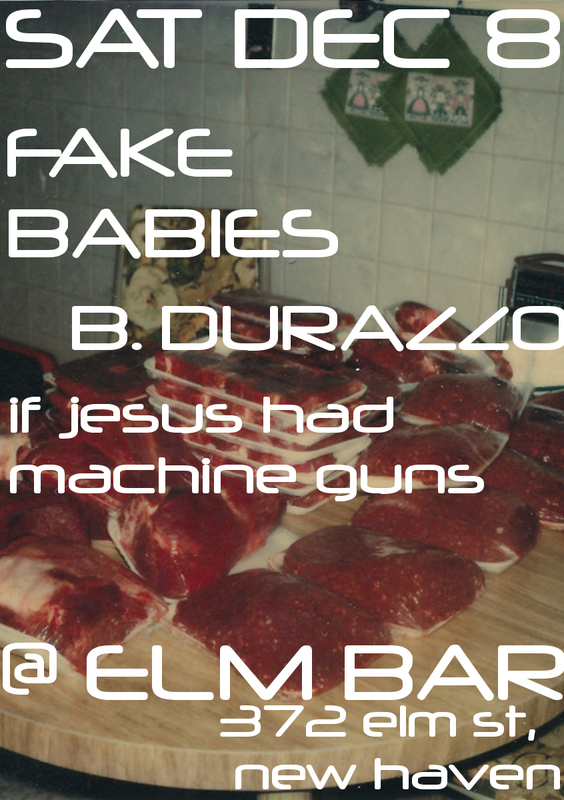 With an in house engineer (Bill Ready of Fuzzy Rainbow), Fake Babies now have their own private recording studio to birth what they like to call Dirty Soul. "I make beats. I'm 24 years old. I live out of a van. I drive around the USA and play shows. That's about it. Oh yeah, it's pronounced "Dur-Raw-Zoh"."